Thank you for stopping by the Commodore Perry District page! In Erie Shores Council, our district encompasses East Toledo, Downtown , North Toledo, West Toledo to Jackman Road, south to Monroe Street, including the communities of Walbridge, Rossford, Milbury, Northwood, and Oregon. These locations consist of industrial, rural, suburban, and inner city communities. 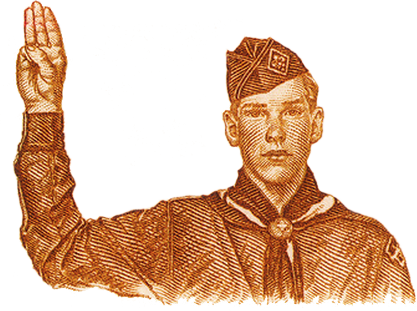 Commodore Perry is made up of many great scout units. These units include cub scout packs (grades 1-4 and the fall of 5th grade), boy scout troops (spring of 5th grade up to the age of 18), venturing crews (for young men and women age 13 and above who want more adventure and activity), and exploring posts (with a focus on career preparation in different fields). Why Should You Join Scouting in Our Area? The Boy Scouts of America is one of the nation's largest and most prominent values-based youth development organizations. The BSA provides a program for young people that builds character, trains them in the responsibilities of participating citizenship, and develops personal fitness. We pride ourselves on the youth that participate in our community and feel that they help make Northwest Ohio a better place. Come and join us at the monthly round table meeting to learn more about the scouting program in our area and interact with local scout leaders. Save the Date! Join us for the 2019 District Dinner hosted by Troop 1666. RSVP to attend using the form below.